log10 (Io / Ie) Example: 20% transmittance is log10 (100 / 20) = 0.7 absorbance. 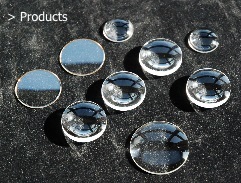 Chamfers are usually required both to protect the work from chipping during polishing and also in use. Chamfers are normally 45º and measured along the flat of the chamfer. 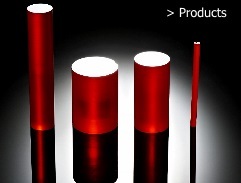 Protective chamfers are usually referred to as 'break-edge' and are typically 0.25mm. They are regarded as uncritical and often removed by the polishing process. Despite more recent sophisticated methods of classification this is still commonly specified by the traditional method of Scratch & Dig. This tries to classify the surface in terms of the maximum length of small scratches left after polishing. 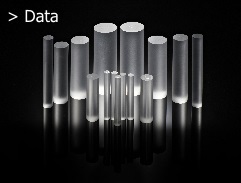 Under this classification S/D 80/60 would be regarded as quite poor and appropriate to simple spectroscopic windows, while S/D 20/10 is a quite exacting standard suitable for low scattering laser applications. Inevitably assessment of S/D tends to err on the conservative side; 60/40 being a normal routine finish. 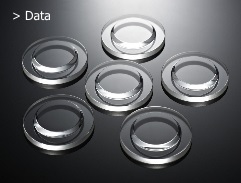 Click here for more details on recent developments pioneered by Crystran resulting in a sophisticated algorithm based measuring system. The deformation of a material can be quantified by expressing it in terms of the elastic modulus. If deformations are small, the material will retain memory and return to original shape when the pressure or stress causing the deformation has been removed. Robert Hooke, a founder member of the Royal Society, discovered that the deformation of a material was proportional to the load or force applied and this was formulated as Hooke's Law. (4) and (5) are actual measures of pressure (force/area) and take account of the density of mercury (13.595g/cc at 0ºC) and the acceleration due to gravity (980.665 cm/sec2) when converting from a mercury barometer reference. 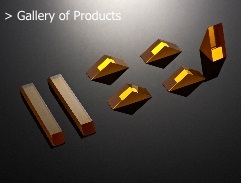 All crystalline materials, except those which belong to the cubic structure class, are anisotropic. These crystals possess different physical properties in different directions of measurement. The Reststrahlen (residual rays) effect, occurs notably in the 6µm to 300µm range. 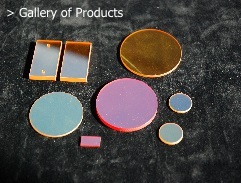 For many inorganic materials used in optical applications, the refractive index remains constant and the absorption coefficient is zero or very small, over the majority of its transmission range. When Reststrahlen materials are illuminated at wavelengths that excite the atomic, or crystal lattice structure, a number of quite dramatic resonance effects are noticed. As the Reststrahlen maximum frequency is approached the refractive index (n) undergoes a rapid change, the extinction coefficient (k) rises rapidly and the Fresnel reflection coefficient (R) may become quite high. Therefore, at Reststrahlen maximum frequency of the particular material in question, the reflectance of that material rises sharply. In the 6 to 300µm region where the Reststrahlen effects seem to be most prominent, there are not many satisfactory filters. Hence the Reststrahlen effect is often used for the extraction of a narrow spectral region from a spectral continuum.